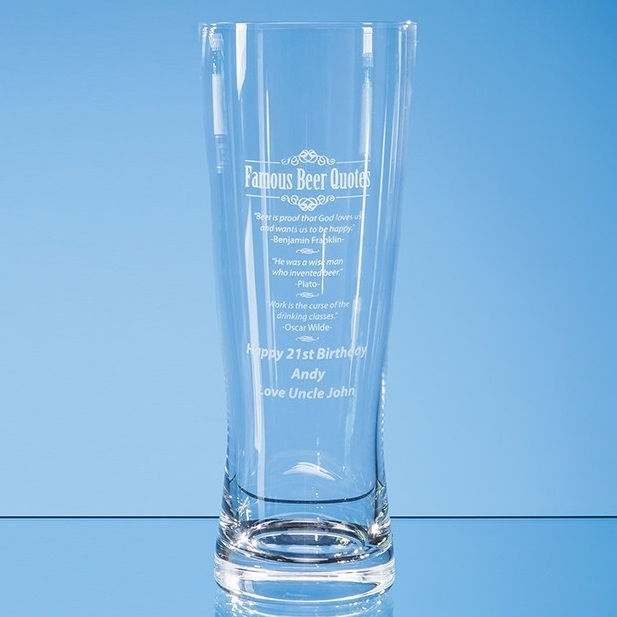 0.7ltr Large Handmade Beer Glass. The classic shape of this glass has been designed to showcase the colour, effervescence and clarity of the contents. It measures 230mm x 88mm and weighs 440g unboxed.